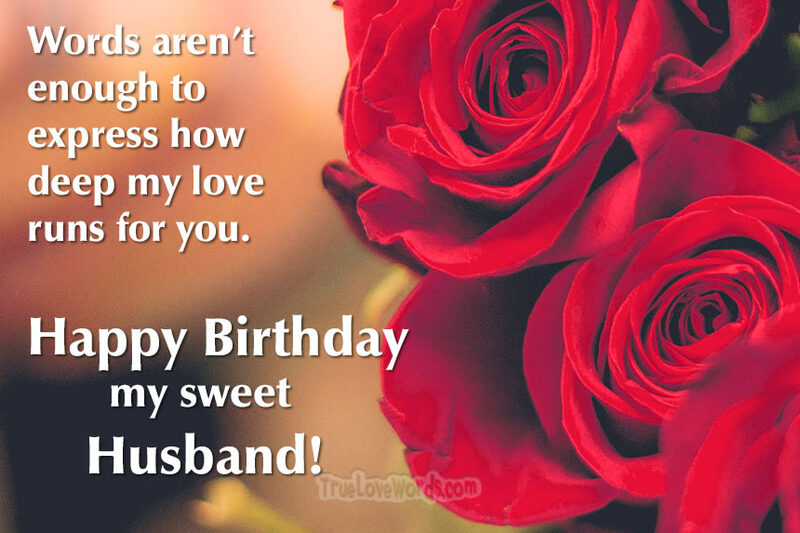 If it’s not easy for you to write something unique and thoughtful to send to your husband on his birthday, take a look all these sweet and lovely birthday wishes for husband. A unique sweet birthday message from you, his wife, will always be in his memories for a long long time! Write it on a piece of paper to make it last forever! Hope you enjoy our suggestions. ♥ If you’d asked, I would have married you the day we met. I knew from the start you were the man of my dreams. Happy birthday sweetheart. 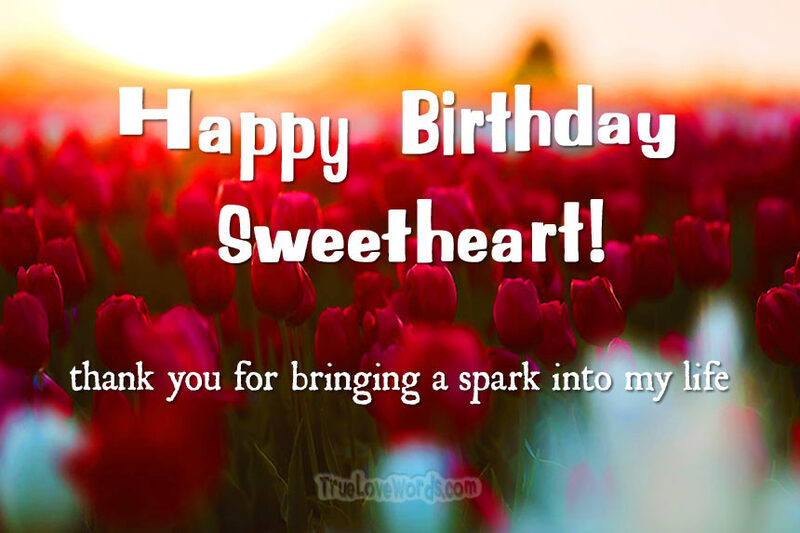 ♥ You think about others above yourself so much that I bet you forgot it was your birthday! So happy to celebrate YOU today! ♥ You have a way of bringing light and joy with you wherever you go and that’s the reason I married you. Happy birthday and thank you for always bringing a spark into my life. ♥ I don’t mean to exaggerate, but I must say that I have the best. Husband. Ever. ♥ All these years of our marriage you take such good care of me. Today, let me take care of you. Happy Birthday to the loveliest husband! ♥ If I could travel back in time, I would do everything all over again but only with you again. Happy birthday my adventurous husband. ♥ When people say they love chocolate or love the outdoors, I know they must be using a different word than me when I say I love you, my darling husband. ♥ No one else in the world could hold my heart as sweetly and gently as you. Happy birthday honey. ♥ You are so caring, and kind, generous and wonderful husband. Let’s make this one day all about you! ♥ Being with you has taught me to live life to its fullest. Each day, each month, each year with you is a treasure. ♥ Like a beautiful harmony, you and I are always in accord. Here’s to many more happy birthdays. ♥ We know each other like a favorite book. We’ve seen every page a hundred times, yet there is always something new to be found. I love you dear! ♥ You turn my everyday nothings into so many somethings. Thank you for making each day so special. ♥ You make our common life and everything more fun. Happy birthday babe. ♥ I thought our wedding day would be the happiest day of my life but somehow each day with you just gets better and better. ♥ Like fruit from Key West, “lime” yours. Happy birthday to my main squeeze. ♥ Every time I place my hand in yours, I’m reminded of how perfectly we fit together. Thank you for being the missing piece of my puzzle. ♥ We may have had some twists and turns but if you ask me, we are just taking the scenic route. Looking forward to rounding this next corner with you. ♥ Picture yourself in the coziest, safest place you can imagine. That is how I feel in your arms. 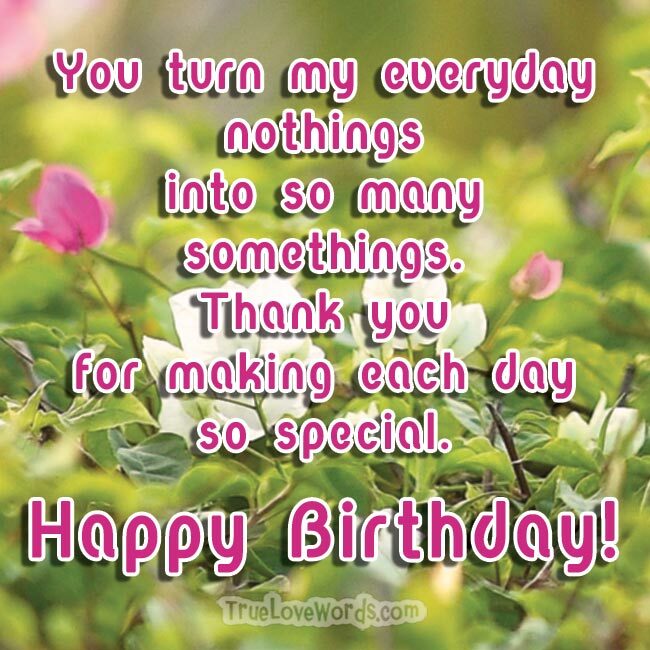 ♥ I hope that for this birthday you remember how much you mean to everyone who knows you. Especially me. 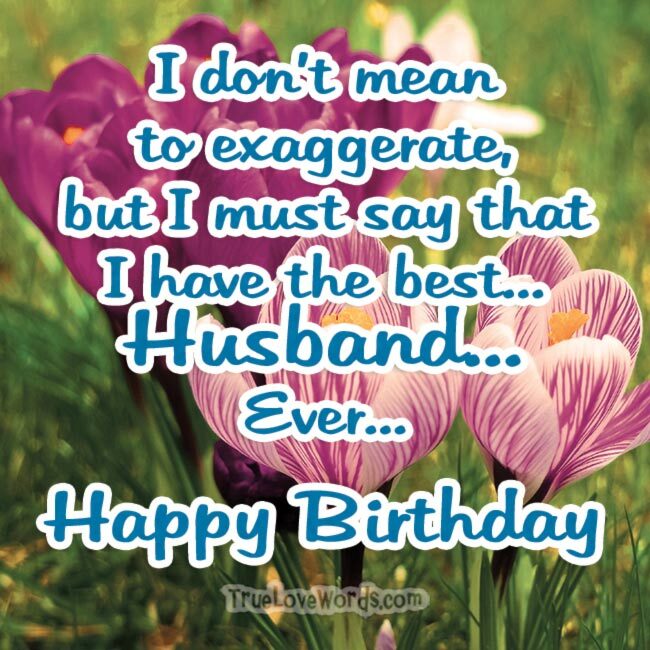 Happy Birthday my one and only husband! ♥ Getting to lay down beside you at the end of every day has been the greatest blessing. Happy birthday darling and sweet dreams. ♥ Even after all these years, my love for you is still red hot. Happy birthday sweetheart! ♥ I have been given many blessings in life, but none compares to the gift of your love. ♥ Being with you makes the years feel like moments. Here’s to many moments to come. ♥ Your birthday means another year to enjoy the journey together. Thank you for being the best companion a gal could ask for. ♥ There is nothing I couldn’t weather with you by my side. Thank you for being my rock in skies both gray and blue. ♥ Really, people should be congratulating me on your birthday, since it marks one more year that I get to spend with the love of my life. ♥ Another year, another page in the fairy tale. I couldn’t have written a better Prince Charming than you, my darling husband. ♥ Words aren’t enough to express how deep my love runs for you. Happy birthday my sweet Husband! ♥ You are like red wine – you get better and better as we are growing old together. Today I’m raising a glass to my favorite vintage…husband. ♥ It amazes me to think of all we have shared these years – the laughs, the triumphs, the hurts, the joys. What a gift to make more memories in our years to come. ♥ Remember the first day we met? Remember how special we were in each other’s eyes? That’s exactly how I am feeling toward you today. ♥ The most special day, for the most special man of my life. You make every day great for us, so let us make this day great for you. Love you always and happy awesome birthday! ♥ Just when I think you’ve grown as handsome as you could, you blow me away again. Is there no end to your good looks? ♥ In the highlight reel of my life, all of my favorite memories star you. Here’s to my leading man, the one I chose for my husband. ♥ In my list of favorite people, you occupy at least the first four spots. It’s just no contest. ♥ There are many things I have loved in my life, but you are in a category all your own. You are out of this world, my sweetheart. ♥ The biggest mountain looks small in comparison to the heights of my love for you. Happy Birthday my dearest. ♥ I’m not saying that everyone else doesn’t love their husbands… they just don’t love them as much as I love you! ♥ If you could see my face right now I’d be puckered up to give you a big birthday kiss- muah! ♥ Thank you for being my friend, my lover, my partner, my husband, my everything. Thank you for taking care of our family. And thank you for loving me. ♥ I can’t believe I get to spend each special day with you. I hope to make this one the most special yet.